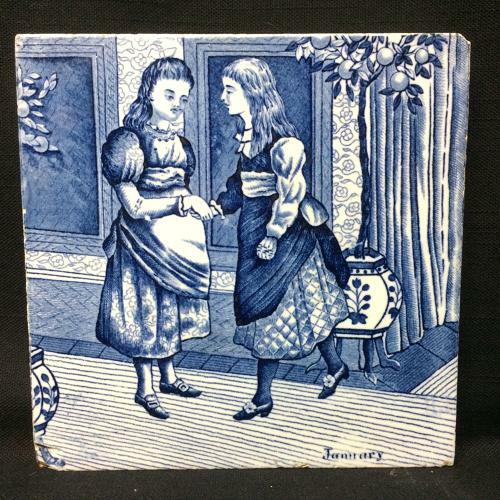 This Victorian 6 " x 6 "tile is transfer printed in blue against an off white background showing good detail and good contrast. Never Used and in good condition. A few nibbles along the edge and a glazed over factory chip to the bottom left corner.